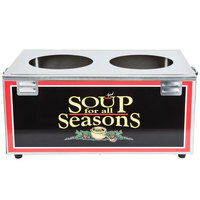 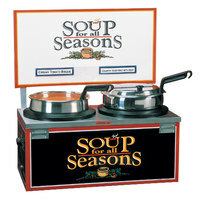 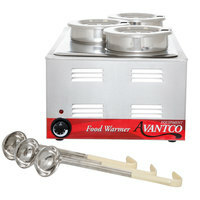 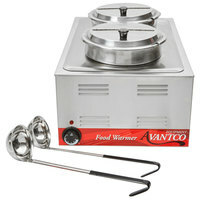 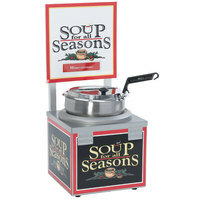 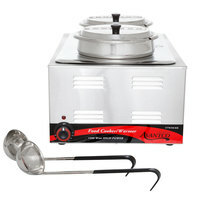 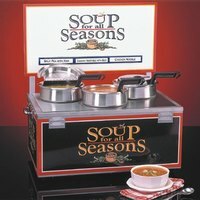 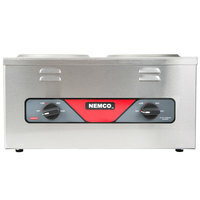 A commercial soup warmer is a great food holding device for your cafeteria, buffet, restaurant, deli, concession stand, or quick-service establishment. 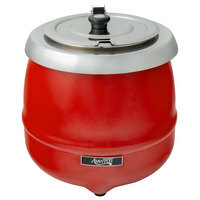 Use a soup kettle to keep freshly cooked chili, stew, sauce, and nacho cheese hot and above danger zone temperatures. 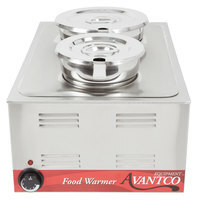 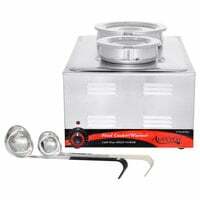 You’ll also find rethermalizers that can quickly heat up frozen or chilled foods for meal service. 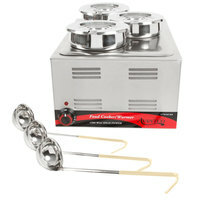 These models are great for caterers with limited preparation time. 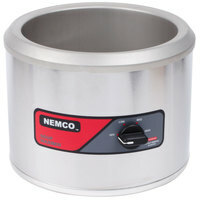 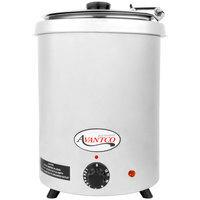 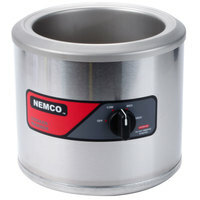 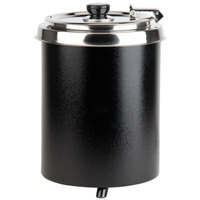 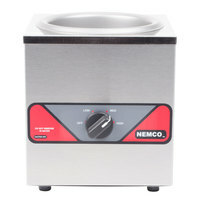 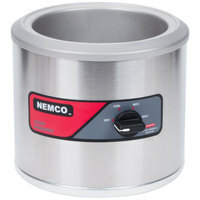 A commercial soup warmer features a cylindrical shape that’s great for liquid-based foods because its rounded edges prevent contents from becoming stuck in corners. 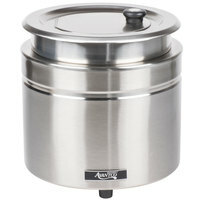 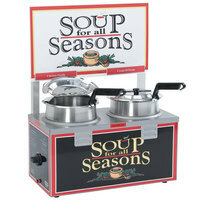 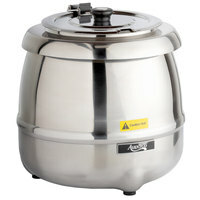 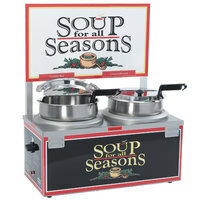 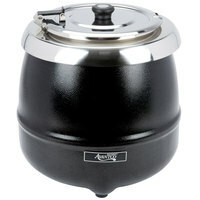 Each soup kettle is also compact in size, and can be conveniently set out in your buffet line or on your countertop. 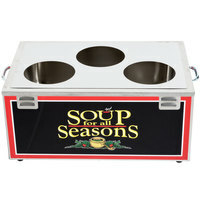 Place these warmers out in the dining room so guests can serve themselves, or use them in back-of-house to fill customers’ orders. 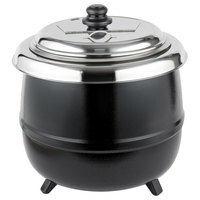 30 4 - 7 Qt. 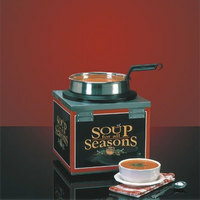 44 8 - 11 Qt. 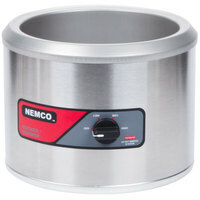 30 12 - 22 Qt.